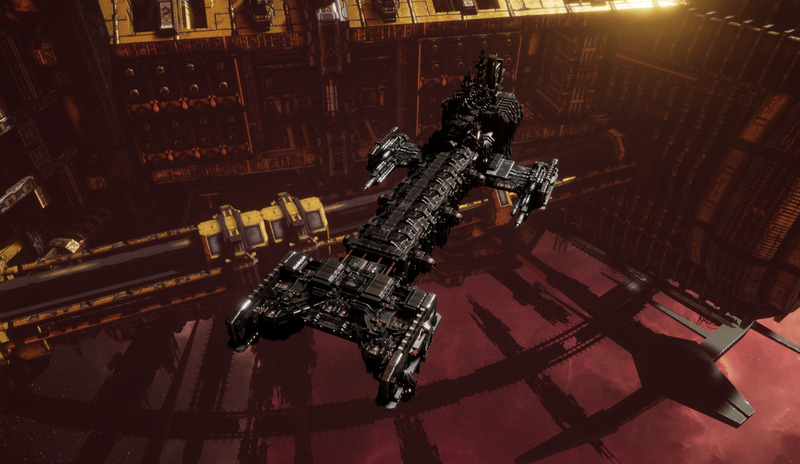 The Light Cruisers of the Adeptus Astartes fleet all come with a pair of launch bays as a common theme. 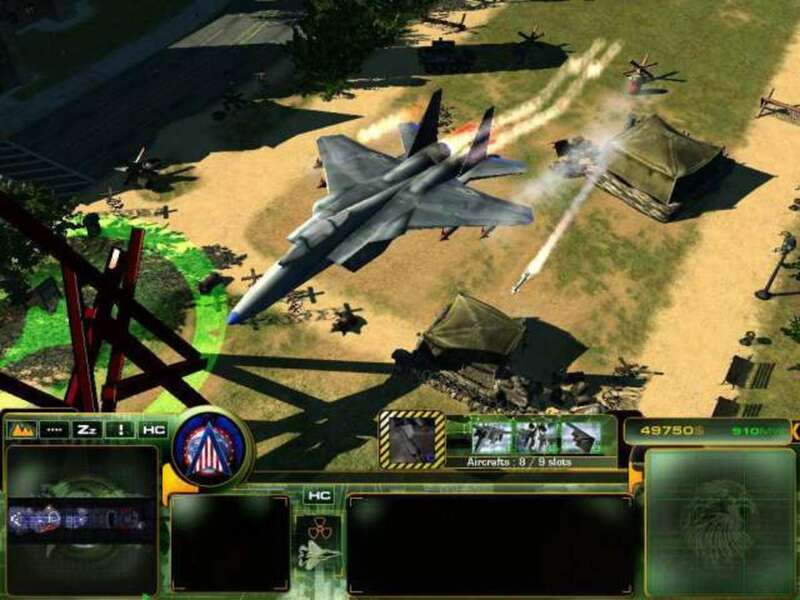 These ships are often seen in large numbers, deploying swarms of Starhawks as a screen for Thunderhawk bombers and assault boats to swoop in and wreck the enemy's ships. 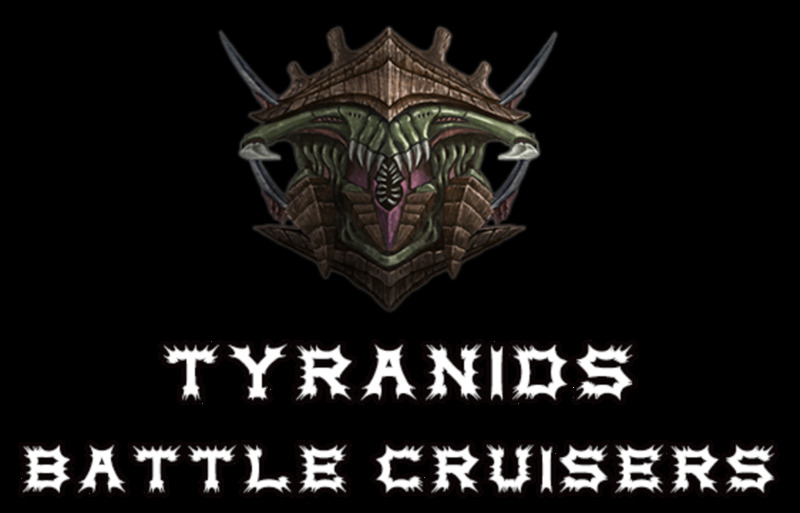 Being the first ships to posses true boarding actions along with their special 3rd boarding skill as space marines, the launch bays and the option of Boarding Torpedoes on one of the Light Cruiser variants, these vessels bring the first real pain that is the crippling waves of assault actions which serve as a common underlying theme of their strength. 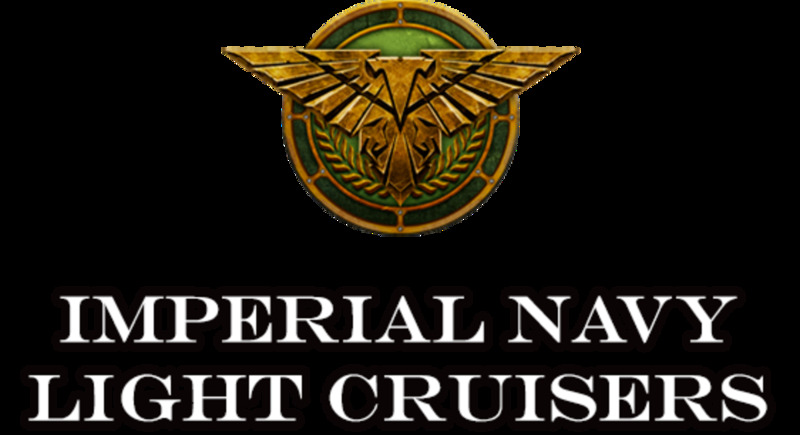 One other common feature that first starts to really show with the Light Cruisers is a slightly lower hull point total than normal for most of the factions, particularly the other Imperial factions, opting instead for heavy armor which in a lot of cases serves their vessels much better than a wider hit point pool. 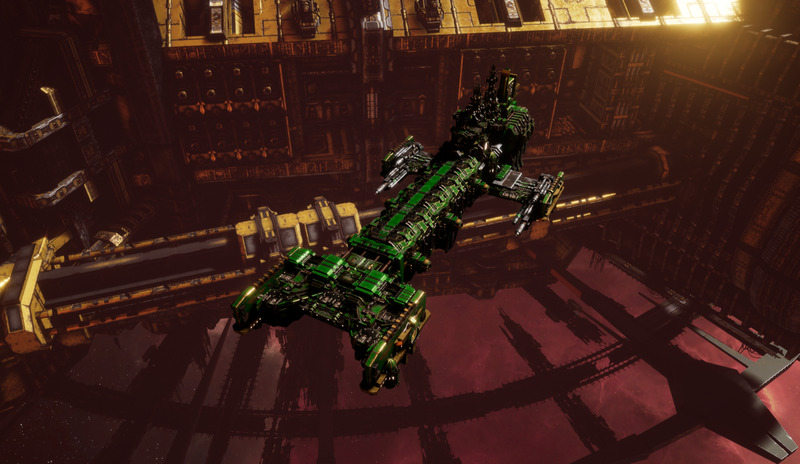 The Light Cruisers are the first weight class of the Space Marine's warships that start to show more of their unique differences when compared to other faction's ships, namely that they tend to have less hull points than most, with some exceptions like the Eldar. 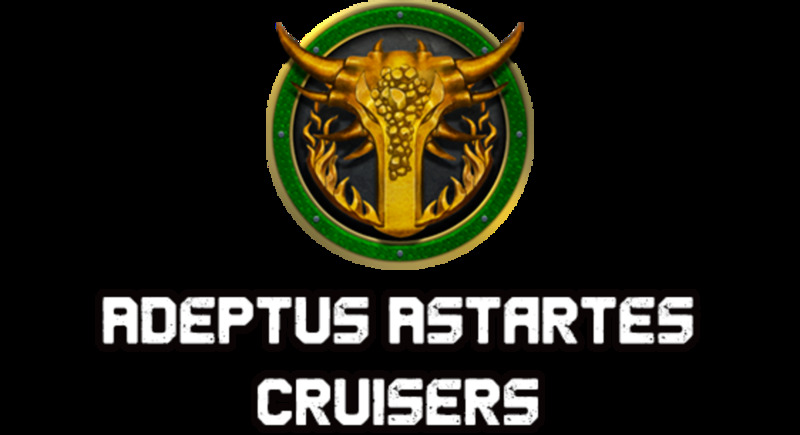 They make up for this with incredibly thick armor on all sides, unlike the other factions which find different ways of offsetting their low HP, and possessing extremely strong boarding actions and faster than normal engines, at least for other ships of the Imperium. Being incapable of morale loss and having extra defensive troops is pretty handy too. 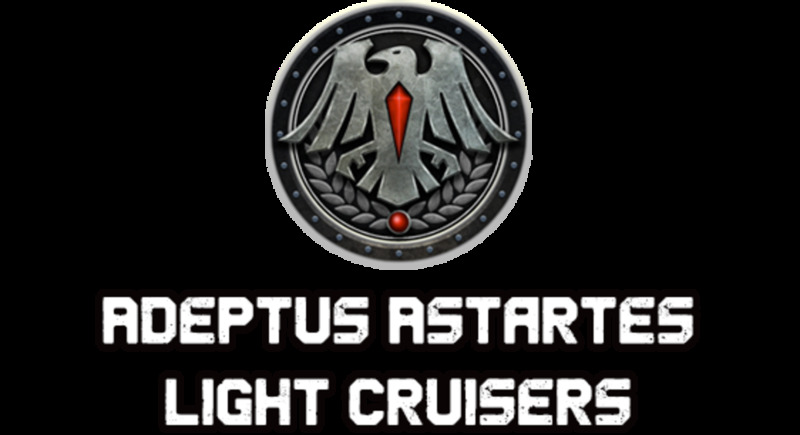 The Adeptus Astartes Light Cruisers, as one might expect being all just small deviations of the same base hull, all share the same attributes as well, along with the Honor The Chapter special skill that gives an additional assault action. 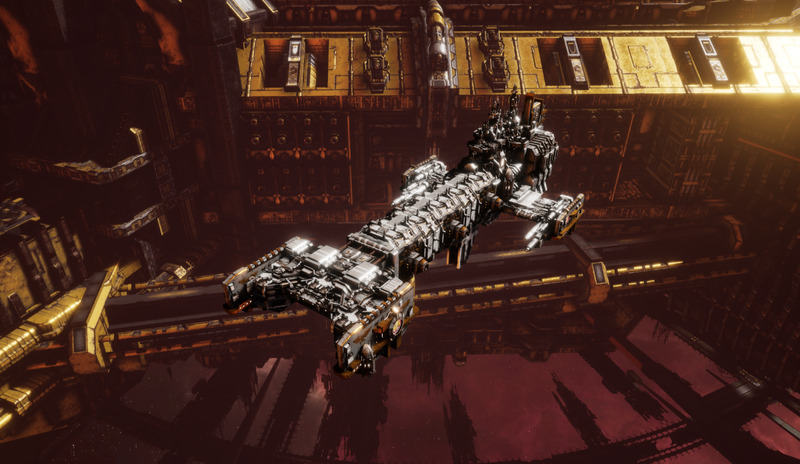 Honor The Chapter: Special Astartes ability that launches 1 assault action on a ship within 4,500 units. Can penetrate shields. Does not share cool-down with other assault actions. 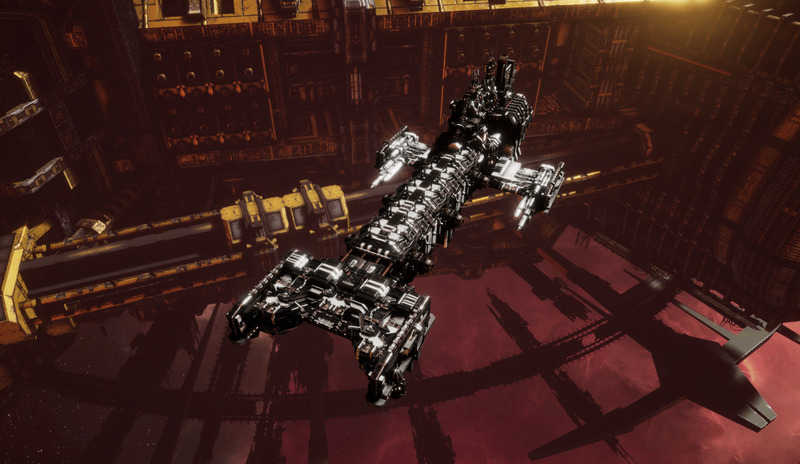 The base variant of the Vanguard is the most specialised of the variants, carrying both the Launch Bays found on all the other Vanguards, but swapping the frontal mounted weapons for a 4 wide rack of torpedoes. 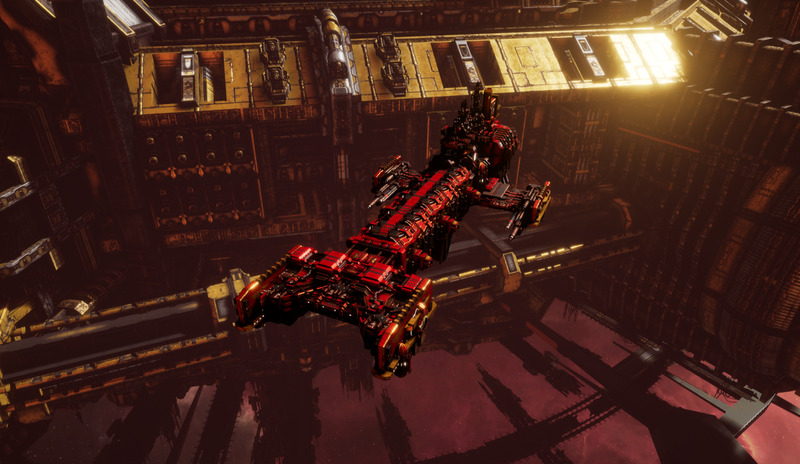 Since the Adeptus Astartes torpedo armed vessels all have the secondary boarding torpedoes option with extra added homing feature, this gives the Vanguard MK.I the strongest overall boarding/assault capability of the Light Cruisers. Being able to launch fighter cover for it's own torpedoes gives the Vanguard MK.I a powerful self sufficency, even though it will likely be accompanied by other Light Cruisers or larger ships with more launch bays to supplement it's strike craft, something common with Space Marine vessels but also highly necessary as the Thunderhawks are fewer in number than other bomber/assault wing types and more easily shot down as a result. 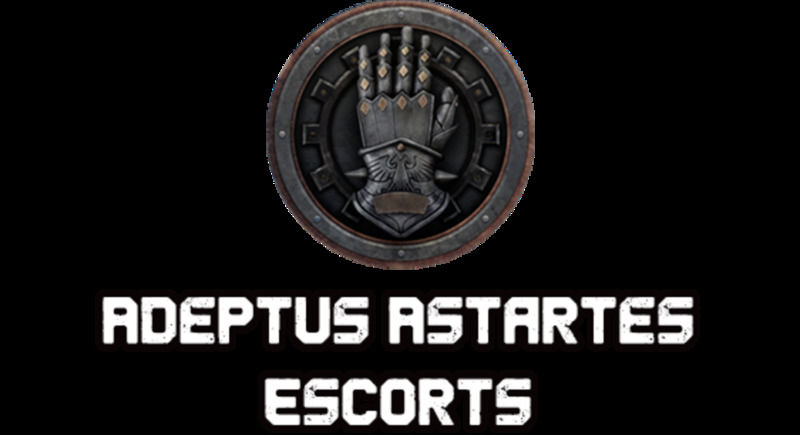 One final bonus, as with all other Adeptus Astartes torpedo carrying vessels, is their torpedoes launch in a straight line as opposed to a fan spread, allowing for greater damage at range due to being able to more easily keep the torpedoes all hitting the same target. More top down/different angles like used in Vanguard MK.I images. The more standard default profile view used in the Vanguard MK.II images. Your feedback to the above poll will help me in best creating these guides to make them visually appealing and informative for you the user. Currently I am trying to decide if I should try more custom angles like I used in the images for the Vanguard MK.I or the standard profile view shots used in the Vanguard Mk. II below and the Mk.II as well. 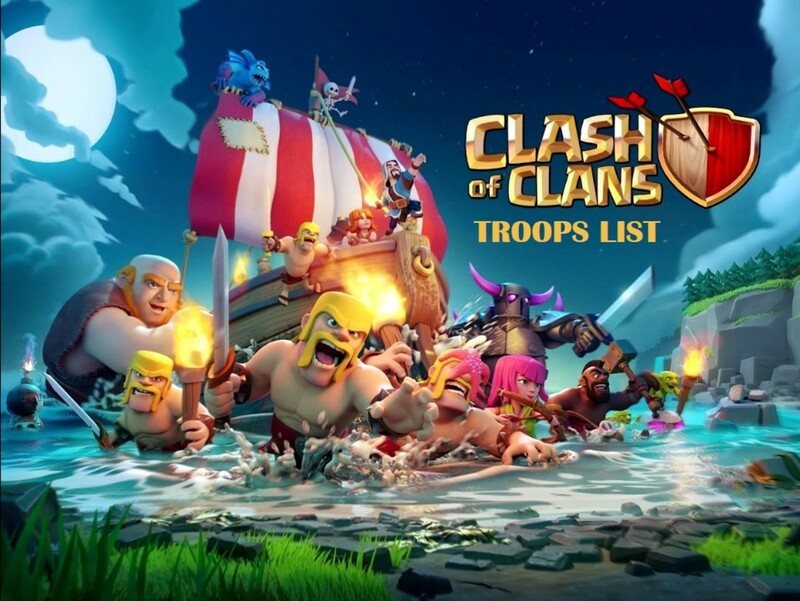 Your feedback here could help determine future changes to this and other guides. Your comments would also be appreciated! 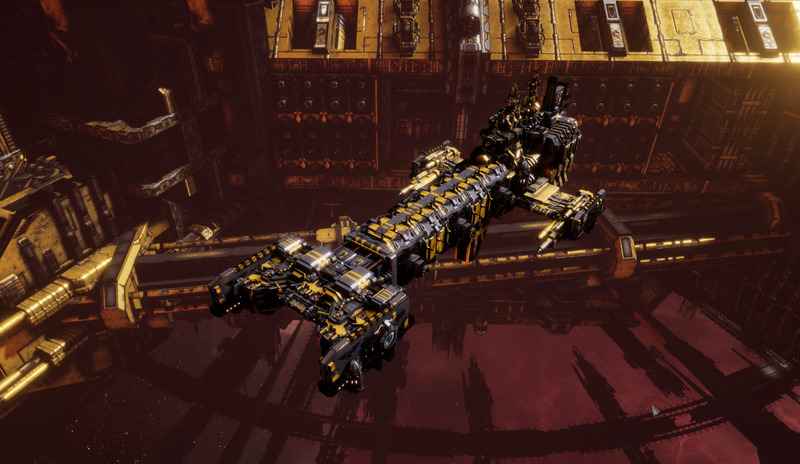 The Vanguard MK.II drops the frontal mounted torpedo for a pair of light lances in a frontal arc, giving this variant the highest on paper dps, still a bit low for ships of other factions without considering the launch bays, but a high crit output that compares thanks to the dual fitting of said lances and their high base crit chance and the light versions rapid reload speed. 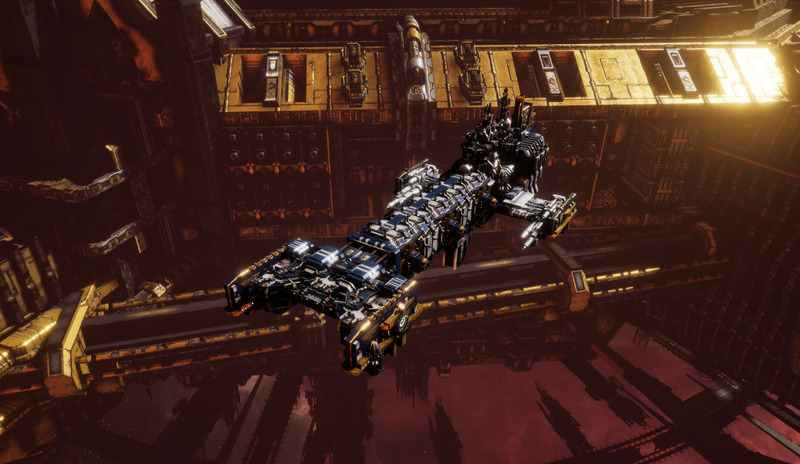 Versatile and capable of pumping out good amounts of damage the Vanguard MK.II is a great option for filling up your fleet with ships that require a little less manual control to get their full potential, though the seperate fire arcs still means some level more attention is needed for the MK.II than the MK.III version. 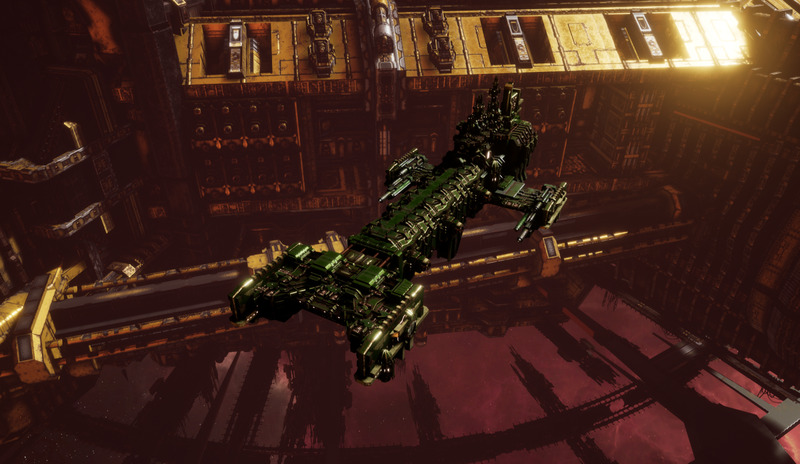 The Vanguard MK.III fills up the all macro niche for the Light Cruisers of the Adeptus Astartes. In addition to this, since the Bombardment Cannon has a 270 degree arc, the MK.III is the best"set and forget" ship of its group, since keeping it at a range appropriate broadside circling attack will keep most of its guns firing without your intervention. 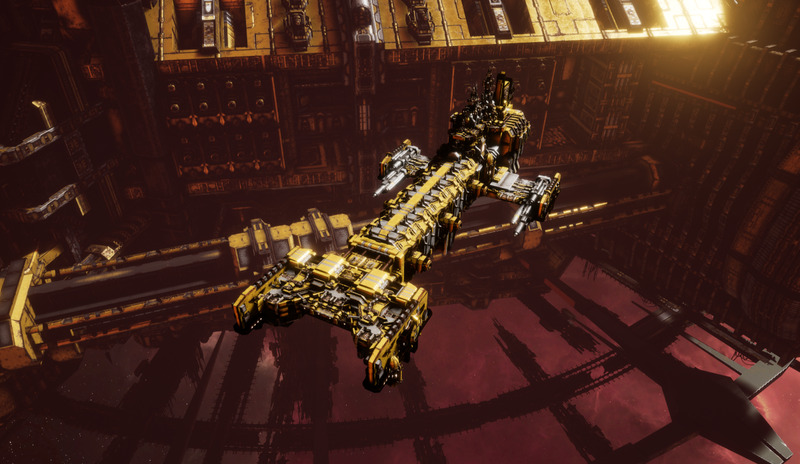 You still probably want a minimal distance range to bring your Vanguard in close to let loose its assault actions as they refresh. Note: It is unclear based on in-game stats exactly how the 100% increased critical effect is calculated. From my own experience and the wording, I believe it actually means when a crit is scored, there's a doubled chance of causing a fire on board or damaged subsystem. I don't believe it plays into the actual chance to critically hit, since that is easily represented with a stat change in the weapon tool-tip. I have used these extensively, so this is a pretty educated guess, but your experience/feedback would be appreciated in the comments section below.